There is something so liberating about wearing an abaya. It allows freedom of movement and inspires a feeling of elegance at the same time. My Mum just returned from Mecca a few weeks ago and she bought me some beautiful traditional Arabic dresses. These are 2 of my favourite ones! They sure bring back fond memories of my last trip to Saudi Arabia in December last year. Out of curiosity, I decided to do a little research about the role of abayas in history and in today's social scene. The beginnings of the abaya can be said to have existed more than 4000 years ago, even before the revelation of Islam. "Some scholars agree it existed long before, as long as 4 000 years ago in the ancient civilizations of Mesopotamia. More than two millennia later, when Islam arose in the seventh century C.E., the religion absorbed local veiling practices into its culture, probably due to the dressing traditions of the women of Arab Jahiliya (pre-Islamic Arabian age of ignorance, marked by barbarism and unbelief). In those days women wore dresses that revealed their necks, chests, even breasts as well as other parts of their bodies. They also drew their veils backwards while leaving the front parts wide open (understandable in the crushing desert heat). Consequently, when Islam arrived, they were ordered to draw their veils forward to cover their chest and to protect women from acts of disrespect. Interestingly, dress codes incited the war between the unbelievers of Mecca with the Muslims at the battle of Uhud." Today the abaya is not only worn in Saudi Arabia but in many countries around the world. It is especially popular in Islamic countries where Muslim women take pride in fashion and their religion. Moreover, black is no longer the only shade for abayas as you can find them in a variety of colours and designs in today's fashion scene. In other words, the abaya doesn't have to be strictly black and the reason why this colour is widely used is because it attracts the least unnecessary attention. An abaya in blue, pink or white is still an abaya as long as it is a loose garment which covers the body. For many Saudi women, the abaya is a symbol of their nationality and culture. As for Muslim women as a whole, the abaya is worn to signify modesty, honour and self-respect. To some people it is a piece of clothing which represents oppression and backwardness but in my eyes the abaya gives women a chance to be heard and not just seen... a chance to be a human being with sound intellect and not just a piece of meat for men (or women) to objectify and leer at. Depending on where you live, it takes a lot of guts to go out and be seen in a controversial garment so it is probably wise to think twice before judging an abaya-clad Muslim woman for she is someone who dares to be different by standing up for her right to be a God-fearing, modest woman. You looks so pretty in the jelabiyat. Your mom has bought a very gorgeous jelabiyat for you. Lovely. Mashallah! They are both beautiful! how much were they, by the way? Beautiful, I love the last paragraph too. I love the outfits! They are sooo festive! mashallah! Great blog. the pink one is gorgeous! sorry i'm bias to pink. Hi... you look beautifull.. visit to my blog. hI Shahira!! 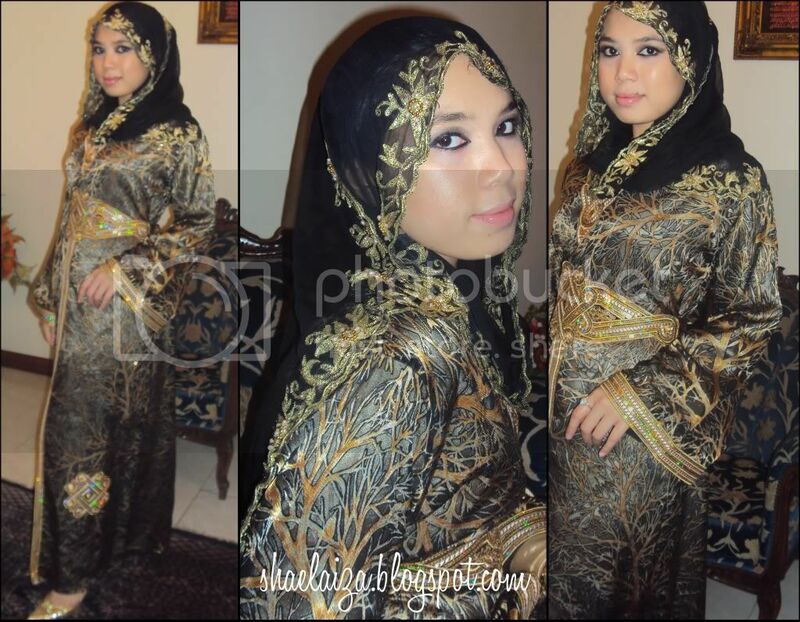 i just want to clear that in the first picture you are not wearing an abaya it´s a kaftan and it´s a morrocan traditional costume, anyway you look so beautifull! !